Another yummy soup with just leftover turkey bones. I love soups and they are so healthy for you. This soup was cooked for 5 hours but 2 hours would do. The longer you cook bones, the more of the healthy things you extract from them. I do make a lot of soup especially during the winter months. I am usually up early in the morning, so by 3 or 4 a.m. 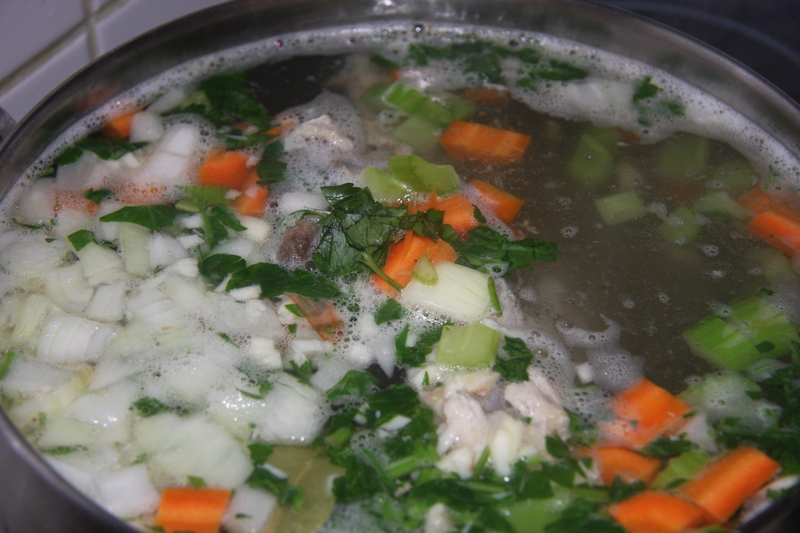 I have started to make my soup. By noon I have a nutritious lunch. Served with a salad it is fabulous. If my grandchildren are here after school they have a nice bowl of soup to warm them up. Or if you have lunch or supper guests, they always appreciate a nice bowl of soup. You just can’t lose when you make soup. I don’t understand why people don’t make more homemade soup instead of opening up a can of something. It is not only healthier, but cheaper to make. You can use up leftovers and things in your fridge that you would normally throw out. You can become so creative when making this dish. Almost anything goes. Give it a try and you most definitely will become addicted. Chop 2 carrots, 1 onion, 3 ribs of celery, 1/4 cup of parsley and 2 cloves of garlic. Don’t forget the 2 potatoes. Place the turkey bone into a stockpot, bring to a boil and gather the scum. Then add all the veggies, plus 2 bay leaves,1 cup of lentils and salt and pepper. 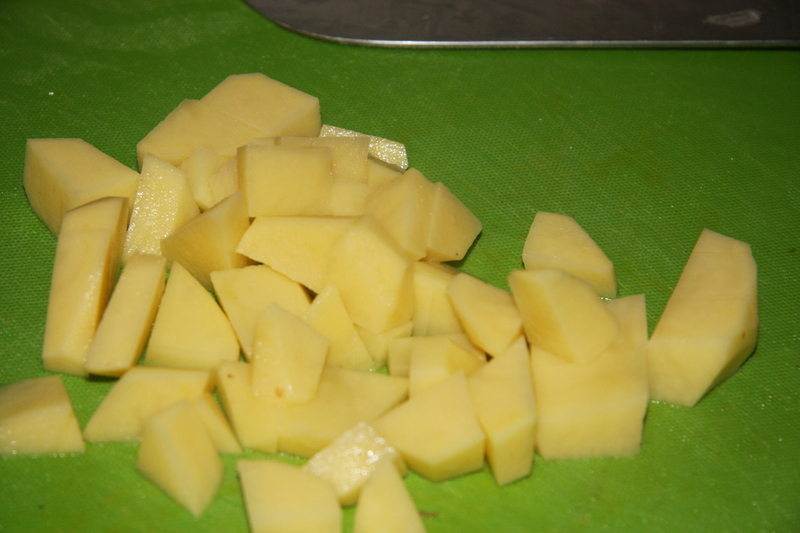 Bring to a boil and then reduce the heat and let it simmer partially covered for 2-5 hours. When it is cooked, take a potato masher and crush some of the veggies. You will find that the lentils will disappear and you will end up with a rich and creamy soup. There you have it. 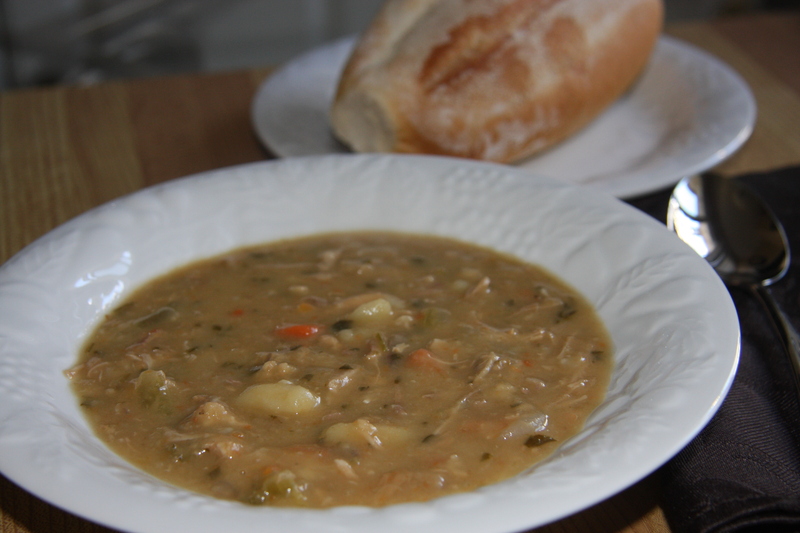 Turkey and lentil soup. 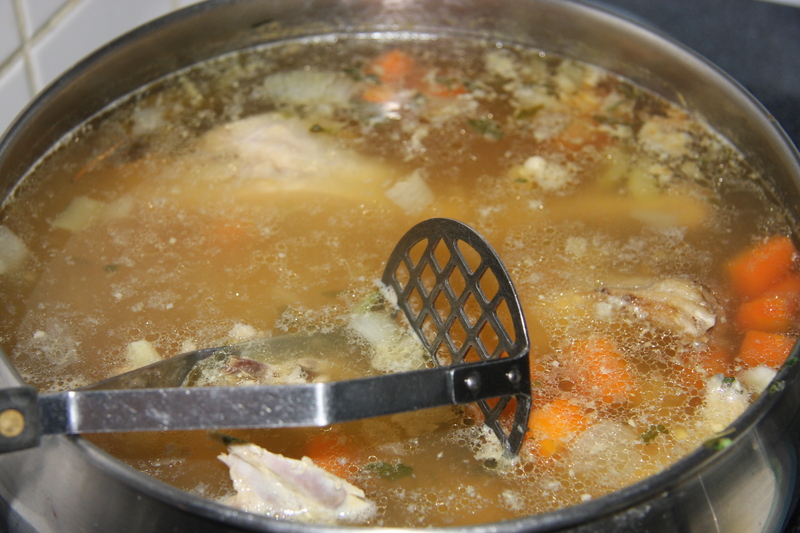 Place turkey bones into a stockpot and fill 3/4 full with water. 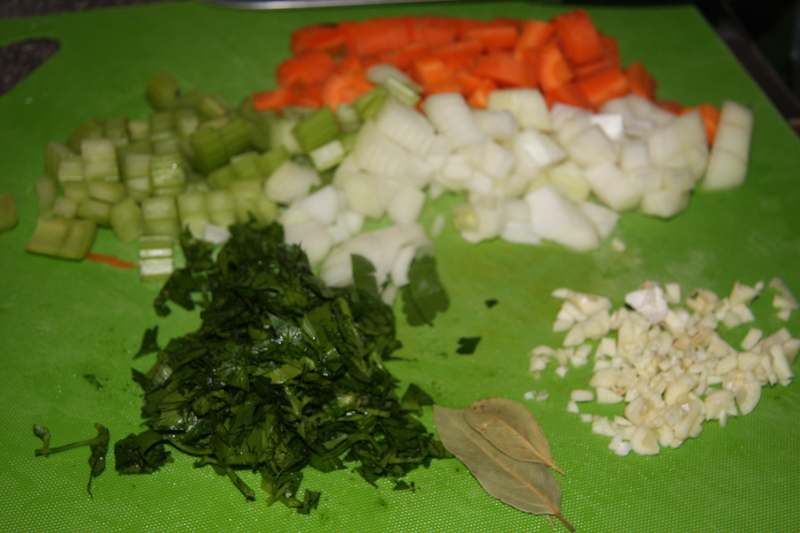 Bring to a boil, remove scum and add all the veggies, bay leaves, garlic, lentils and salt and pepper. Bring to a boil again, then reduce heat and simmer for 2-5 hours partially covered. Take a potato masher and crush some of the veggies. Place into a bowl and serve with a crusty roll and salad.